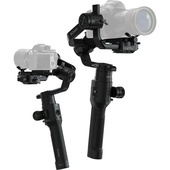 The Essentials Kit includes the gimbal and the key accessories required to go out and begin shooting. Handheld Ring designed for Ronin/Ronin M/Ronin MX Stabilizer. Can provide more mounting possibilities and DIY options. Wireless Lens Control System was designed with versatility. 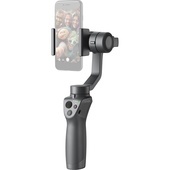 You can easily connect your Nucleus-M hand grips to ring-based gimbals. The multifunctional clamp is locked via two long M4 screws and with rubber inside to prevent scratching the gimbal. Ronin-S Top Hotshoe Bracket is used to more securely mount a DLSR camera to the Ronin-S.